I am very glad to share the invitation from Washington DC Kamakoti family for their grand Atirudra Shatha Chandi maha yagnam to be held in July. I am told that as per Sri Periyava’s direction, they have maximized the vaideekas presence for ritwiks and so far, they have 80+ vaideekas! I guess this would be one of the few events with such a large gathering of vaideekas in US. All devotees in US should try to attend this grand event.I will do my best too! Sri Chandrashekarendra Mahaswamigal, the 68th Acharya of the Kanchi Peetam fully conscious of his role as a preceptor in the line of Sri Adi Shankaracharya felt as his prime duty the preservation of the Vedas, tradition and dharma. He advocated simplicity, shunned pomp, ostentation and extravagance. 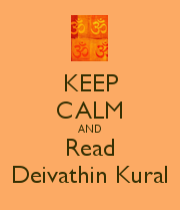 His exposition of Vedanta, sastras and the dharmic duties attracted scholars and laymen alike, from far and wide, for it has always been rich in values and simple in understanding. Great humorist he had the keen acumen to relate root words of all the languages to Sanskrit highlighting its greatness. He was affectionately called “Mahaswamigal” and “Walking God”. He adorned the Peetam for 87 years and influenced the thoughts and lives of innumerable devotees through his life and teachings. He was the source and inspiration for the upliftment of Sanatana Dharma and national integration. The 125th Jayanthi of His Holiness Sri Sri Chandrasekharendra Saraswati Swamigal and the 84th Jayanthi of Sri Sri Jayendra Saraswati Swamigal will be celebrated with an “Athirudra Sathachandi MahaYagna Sarva Shaka Sammelan Mahotsavam” to be held between July 16, 2018 and July 22, 2018 at Sri Bhaktha Anjaneya Temple, Maryland. This grand event will be conducted with 80 priests and ritwiks from all over North America. We have received Their Holiness blessings and the SriMukham. We request everyone in the Kanchi Kamakoti family in North America to join us in organizing and making this truly a national event befitting the Walking God MahaPeriyava who continues to guide us today. We seek the support, suggestions, guidance and full participation from all the devotees in your area. 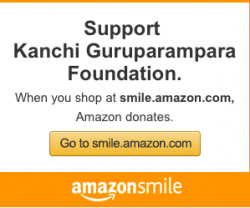 Please visit http://www.kanchimahaswami125.org for details – including donations. We invite all of you to mark your calendars and volunteer during this occasion and receive the blessings of Sri Kamakshi and our Acharyas. हर हर शङ्कर ! जय जय शङ्कर !